Remember when I made fun of New Year's Eve for trying to cash in on the title of the movie alone (ok, I made fun of that movie for a whole host of reasons) because for some unknown reason, people like movies tied to holidays? This is just an animated case of that, except here, the writers are preying on unsuspecting families, who have been lulled into thinking all animated movies with cute little workers (in this case, the baby chicks) will be as good as Toy Story (the little aliens) or Despicable Me (the minions). I really like animated movies, but I don't understand why writers seem to think it's acceptable to have predictable plots, crappy character development, and cheesy dialogue just because the movie is marketed toward children. You know who has to bring these kids to go watch the movie? Adults! And you know who pays for the movie? Adults! Kids will watch anything as long as it has bright colors and funny voices (seriously - turn on Saturday morning cartoons once in awhile - it will astound you, the crap they'll sit through). Why not make the movie enjoyable for the people who are actually paying attention and will remember how good or bad the movie is longer than 5 minutes after walking out of the theater? The most insulting part of the movie, though, was its complete and utter lack of creativity. I mean, it shows the Easter bunny riding an egg-shaped sleigh manned by rows of baby chicks. Really?!? They couldn't even come up with an original mode of transportation? They had to rip off Santa's sleigh idea? I worry that these same writers will decide to set their sights on Valentine's Day next. Ugh. 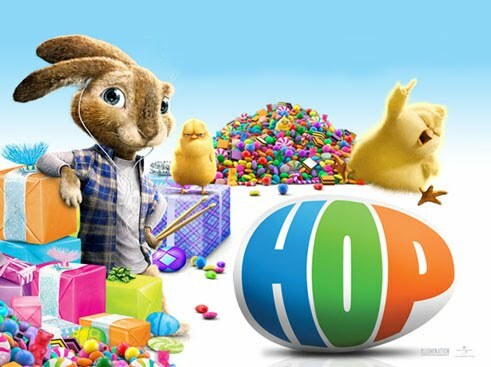 Final word: It's like a spring version of The Santa Clause, except no one watches Easter-themed movies for the holiday and this was stupid.